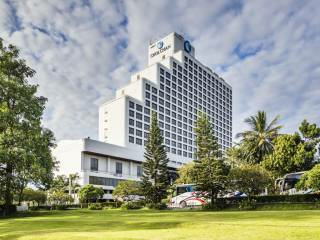 Cholchan Pattaya Resort offers spacious accommodations and versatile event spaces. The meeting and banquet rooms are perfect for business meetings and celebrations. With 6 function rooms and 3 outdoor banquet areas, the hotel can cater for groups of 10 to 500 indoor for seminars ,training, International meetings, themed parties and outdoor for group of 50 to 3,000 for banquet and party.